The the paper and pulp production chain is comprised of a group of industries that produce pulp, paper and paper by-products. After cutting down the eucalyptus tree, the extracted pulp is treated and undergoes a number of different production stages until the final pulp or paper product is ready for its intended use. 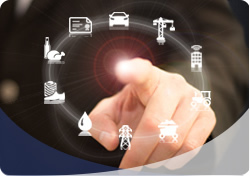 NOVUS has experience in this sector, and offers complete solutions for the control and automation of these processes.